Heavens assassins are not actually full angels. They are half-angels called Nephilim with powers that are bound. They feel pain when they use their power which makes no sense. Their duty is to serve heaven and take down bad guys that are fallen angels, aka renegades. You would think they would be able to use their powers to fight the bad guy’s right? Well the Nephilim are not very liked in heaven and in fact looked down upon, which is why they bind their powers to keep control of them. Half-angel Kasdeja can’t resist when he meets Mariel who dangles freedom over his head trying to convince him that his greatest enemy has the power to free them. Does he believe her, why did she contact him what do the renegades want in return. Kasdeja would do anything for freedom, but at what price? Can he leave his brothers, his adoptive father? The only family he has ever known. The bond between his family is so strong that he is left with no choice to go into enemy territory alone. This could be his only chance to get the enemy from the inside and the possible freedom for him and his family. Mariel is a double agent undercover in the heart of enemy territory as Heavens spy working for the renegades. Her assignment is to seduce half-breed Kasdeja to get him to join them. The problem is the assignment is turning out to be more than just seduction; she is actually falling for Kasdeja. Mariel and Kasdeje’s attraction was instant, and a wallop to both of them. It certainly was not expected. The more they met the more the attraction grew into something either of them could no longer resist. This attraction could cause them to end up dead. 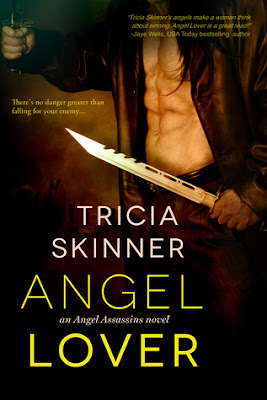 The Angel Assassin series is turning into one of my favorites. I like that the focus is not on the Angels but the half-breeds, the under dogs, the bound ones that everyone hates and who should have been killed many years prior when Heaven was wiping out all the half breeds. I was drawn in from the beginning. It was nonstop action and my favorite thus far. I highly recommend picking up the series. Tricia Skinner is an author of passionate dark fantasy. She is a features writer for Fresh Fiction and a project manager for Short Fuse. She began her writing career as a business reporter and wrote for The Detroit News, Investor’s Business Daily, MSN, and The Houston Chronicle. 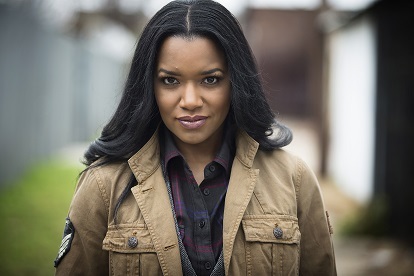 Raised in Detroit, Tricia graduated with a BA degree from the nationally acclaimed Journalism Institute for Media Diversity at Wayne State University. She earned a Masters of Liberal Studies – Creative Writing degree from Southern Methodist University and will obtain a Masters of Fine Arts in Writing Popular Fiction from Seton Hill University in 2017. Diversity in genre fiction is dear to Tricia’s heart. She is represented by Laurie McLean, co-founder of Fuse Literary Agency. When not writing, Tricia can be found reading, lifting weights, or geeking out over games, movies, and music. She has a Tom Hiddleston obsession, and she is Team Vader. Her family includes three Great Danes (so far). Celebrate the release of ANGEL LOVER with a one-of-a-kind collectible piece. Each locket features one book in the Angel Assassins series (Angel Bait prequel, Angel Kin #1, and Angel Lover #2), plus silver charms. I read Angel Kin and haven't had time to read the others. I really liked the one I read though.